Maruti’s all new Alto 800 is now inching closer to launch. 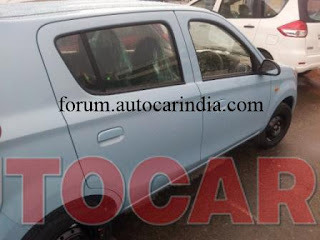 The new Alto 800 will be based on the existing Alto platform & will be powered by the same 796cc three cylinder motor (F8D) from the Alto, which has been modified to meet the latest emission norms. The new Alto 800 will slot in below the Alto, is expected to have all new interiors, & will be a tad more spacious than before. The design is rather basic, with the nose getting high mounted headlights, a slim, slot like grille & a huge secondary air inlet opening above & below the bumper. 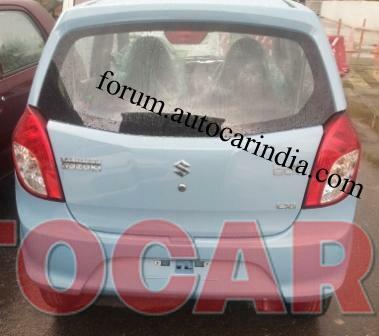 Maruti has provided a wider, U shaped rear windscreen for better visibility, & there is a wide tailgate for better accessibility to the cargo bay. The new 800 is likely to share a lot of running gear with the current car. It will also have a basic but cost effective MacPherson strut setup in front & a coil spring torsion beam axle at the rear. Expect better interior packaging to liberate a few vital centimetres. Crash protection should be better than the old car too, thanks to the Alto’s more up to date chassis. 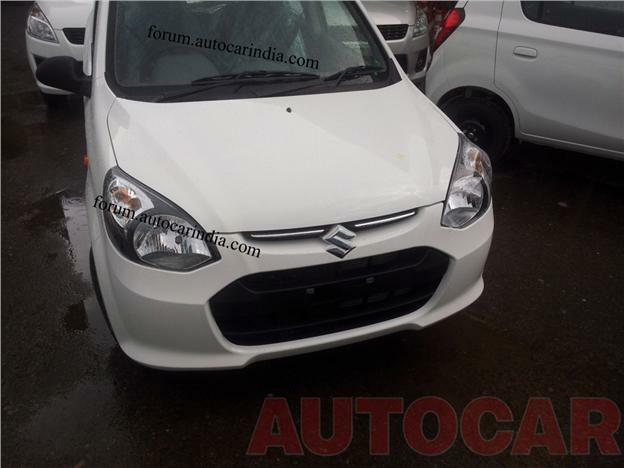 Maruti is targeting a sub Rs 2 lakh price for the new Maruti 800 to distance it from the Alto by at least Rs 40,000 & put it smack into Nano territory.